With professional, highly trained caregivers your loved ones can enjoy the benefits of independent living while you get peace of mind knowing their needs are being met. 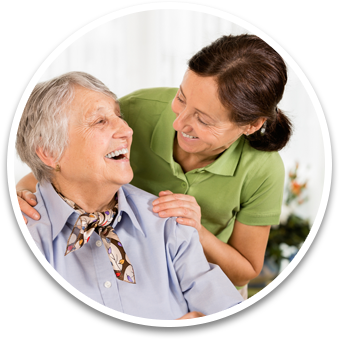 Balanced Home Health Care specializes in providing Southeast, MI Seniors the highest quality in-home assistive services. Whether your loved one remains in their home or moves to a senior community living facility, our highly qualified, care giving partners provide the assistance and companionship needed to feel independent and safe in their own environment. Whether your parent or spouse is aging gracefully, recovering from an injury or illness, or suffering a long-term ailment, we have a program that helps your loved one maintain dignity and independence while recovering in their favorite place-home. We can manage the everyday activities of daily life, such as medication set-up and administration, assistance with bathing and dressing, meal planning and preparation, laundry and light housekeeping. Our care giving partners are also trained by the American Red Cross and the Alzheimers Foundation making us leaders in providing care for adults suffering from Dementia and Alzheimers. If you are looking for the best home health care in Michigan, call us today for a complimentary in-home assessment. Together, we will create a customized plan for you and your loved one. The contents of this webpage are Copyright © 2019 Balanced Home Care New. All Rights Reserved.